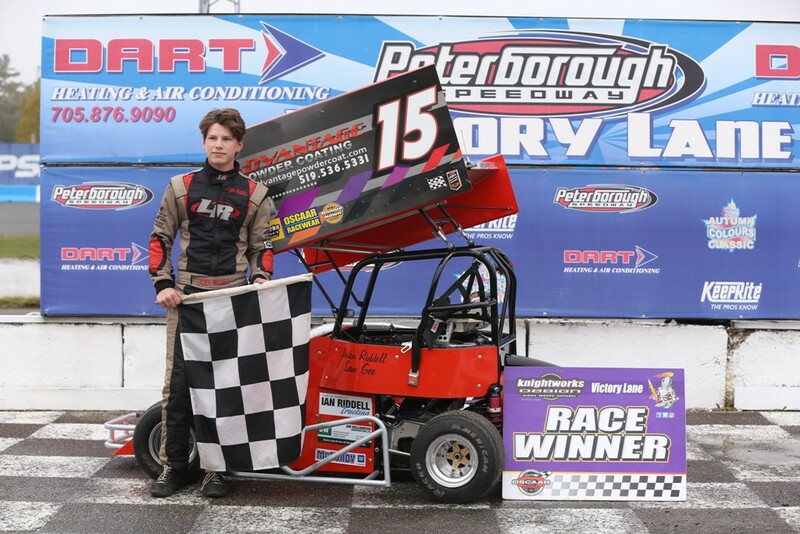 After coming close to taking home the OSCAAR Pro Sprint Championship in his rookie campaign, Jaden Riddell will be back on the grid with dreams of glory in 2019. Entering his sophomore campaign, the teenager says his goals are to become a better driver, while expecting to go out every race and learn, while becoming a better sportsman. The 2019 campaign will take Riddell to four different tracks across the province, which is fine as he doesn’t have a particular favourite. However, he does admit that he is looking forward to getting back to Sunset Speedway, in hopes of picking up his first career victory at the Innisfil, Ontario oval. Riddell got to experience the thrill of winning throughout the 2018 campaign on three different occasions. Out of the victories, the stop in victory lane at Grand Bend stands out. “It was my first win and that is where my racing career started,” he said. After posting scoring nine top-five’s en route to a runner-up in the season standings, Riddell says the key for 2019 is improving his sportsmanship on and off the track, while expanding his knowledge of the car itself. For Riddell, his interest in racing was sparked by his grandpa. Despite several different memorable moments throughout his young career to date, the most memorable takes him back to that first career victory at Grand Bend. “I have had a lot of good memories but my most memorable would have to be passing the 2 car (Daniel Hawn) in the last corner of the last lap to win my first OSCAAR feature,” he commented. For those looking to get their start in racing, Riddell says they should just do it.